This post is published by Platter Talk entirely on its own behalf and without compensation from Chobani or any other entity. It’s a new year and in the kitchen, perhaps more than any other time of year, it’s all about keeping it lite. For some lucky (and enlightened/empowered) individuals keeping it lite is the norm. It’s little wonder though that for the rest of us, keeping it on the lite side of life is a challenge. Our culture provides us with an over-abundance of choices and opportunities to over-indulge at every corner. Some do it with their opulent McMansions. Others feed their vanity with their mini-mortgages on four wheels and chic, tailored clothing, furniture, and accessories. Yet perhaps it is in the kitchen and at the hundreds of thousands of fast food drive-up windows across our land where over-indulging has taken its greatest toll on our society; particularly on our health and in our wallets. Today’s post features a tasty, colorful, and healthy call back to reality. A call that takes us back to the basics and back to sound, healthful choices. Combining the restorative and anti-oxidant properties of the ancient pomegranate with nutrition packed almonds, along with the queens of all super foods – blueberries, this parfait is held together by the miracle food known as Greek yogurt. Strained to remove the whey, Greek yogurt provides a thick and creamy base of protein, probiotics, and other nutrients such as Vitamin B12, iron and potassium. All of these components help contribute to a healthier meal while promoting wellness and warding off obesity and associated health problems like hypertension and diabetes. 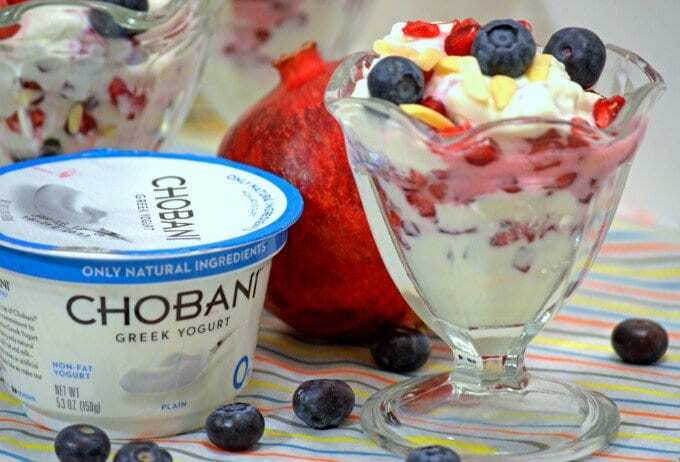 We like Chobani Greek yogurt for it’s all natural ingredients. You won’t find milk that has been adulterated with rBST (bovine growth hormone) nor will you taste any artificial sweeteners in their yogurt. Chobani doesn’t use these chemical additives that have been questioned by health experts as contributing to breast and other cancers. What you will find with Chobani is taste and quality. This parfait is simple to make, it is all natural, and it is all delicious. It doesn’t get much better than that. Oh, one more thing, it’s great for you. Drop by the Chobani site. 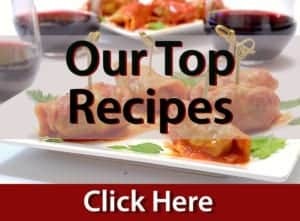 It’s loaded with great information and ideas about who they are, what they make, and many ways to enjoy good taste and good health. Using parfaiit glass or fluted glass, layer ingredients. You know this parfait has my name written all over it! Did you save one for me?? AHh you are reading our minds! Love the pomegranate arils in there! YUM! I loved this blog post… I think we can all relate to the first few paragraphs as well. When I was younger my indulgence was shoes…hand bags…and EXPENSIVE sunglasses. ..After children it’s food at times. I love real foods. ..cheese. ..lot’s of cheese. ..and Chobani !!!! Chobani is delicious! Many thanks for the great comments, Heidy. It’s so nice to hear from you. I absolutely LOVE yogurt, it’s dessert for me. Fantastic post Dan! Thank you Mary; I appreciate your great comments as always. You’re like me – if I like a product I say it, without compensation. I love Chobani – it’s my favorite. I use it in cooking all the time even in place of sour cream – gorgeous pics boys! Great post! Great job with this. Delicious and nutritious. I think with one squeeze of some lovely honey and I’d be in heaven! Kevin, Agreed. A spoonful of honey would take this right over the top. Terrific post and an easy and delicious sweet treat to get up back to ‘simple is best’ and you have made it easy to get started with this healthy Chobani Power Parfait. Thanks so much Joanne. I hope you try this! I am over here applauding you – can you hear it? What a fabulous post this is. Informative and so well written. Kudos to you for coming up with a light, healthy start of the day or end of the day treat. Thanks, Susie. 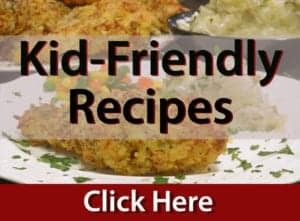 I hope you try it with some Greek yogurt, I think you will love the combination!